The Archbishop of the Anglican Church in North America, the Most Rev. 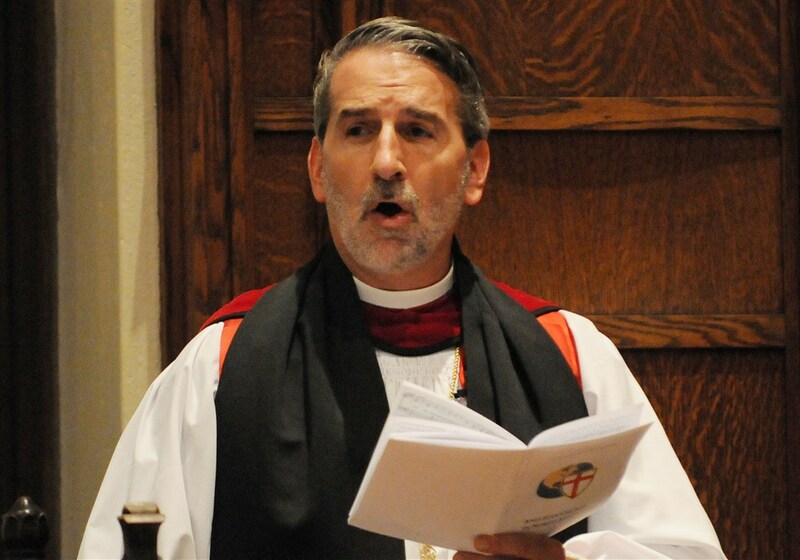 Foley Beach, told 1,400 delegates to the triennial Assembly of the ACNA meeting at Wheaton College, a leading evangelical liberal arts institution, that a harvest of souls, a mission field, lies at their doorsteps, and they should be actively evangelizing them for the kingdom. In his sermon, Beach said that despite the fact that there were 2.2 billion Christians, some 40,000 denominations, and 300,000 congregations, there was still a tremendous need for people to hear the Good News of Jesus Christ in a world in turmoil. "Our country is politically, socially and economically divided. The Church is in confusion and it needs the Good News of Jesus Christ. People are suffering all around us. They need healing. Mission is around us, mission is on our doorstep." The words of Jesus, "to go into all the world," are needed now more than ever. Echoing Jesus' words, Beach said that the harvest is plentiful but the laborers are few. "We need to send out fresh laborers into the harvest." "I see a plentiful harvest in the world. I see people who are in pain, living in fear, lonely, acting out of anxiety, looking for meaning and direction on our doorstep. "Too many Christians in North America are Christians on Sunday morning. Too many Christians receive from God but do not give [of themselves] for God. Pray earnestly for the Lord of the harvest. We have many organizers but not enough agonizers. The world is not only on our doorstep but it is in our home. We can touch people with a click of a [mouse pad. We can touch whole communities with a single click." Beach said there was a real hunger for spiritual things. People, he said, are going to bed hungry, suffering from addictions, sexual brokenness and physical sickness. "Stop being dress up Christians, it is time for Christians to be in the market place and get involved in God's mission." With a roar of hope and approval, some 1400 voices proclaimed in song, "O God our help in ages past, our hope for years to come." They affirmed their faith singing, "You will not be shaken, God of our salvation, You are the rock we stand on." Present, for what was described as the largest single gathering of global Anglican leaders on American soil, were the Archbishops of Nigeria, Nicholas Okoh; Greg Venables of South America; Mouneer Anis of Egypt; Deng Bul Yak of South Sudan; Stanley Ntagali of Uganda; Jacob Erasto Chimeledya of Tanzania; Moon Hing Ng of Southeast Asia; Zacharie Masimango Katanda of the Democratic Republic of Congo; Benjamin Kwashi of Jos; Nigeria; Onesphore Rwaje of Rwanda; Jackson Ole Sapit of Kenya; Daniel Yinkah Sarfo of West Africa and Glenn Davies, Archbishop of the Diocese of Sydney. Bishops included; Grant LeMarquand, Bishop for the Horn of Africa, the Rt. Rev. Flavio Adair, Bishop in the Diocese of Recife, Brazil, John Fenwick, Bishop of the Northern Diocese, The Free Church of England, Paul Kiptoo Masaba, Bishop of Sebei Diocese, William Suarez Mendez, Bishop of Cuba (Reformed Episcopal Church), Márcio Medeiros Meira, Bishop in the Diocese of Recife, Brazil, Michael Nazir-Ali Retired Bishop of Rochester, Gary Nelson, Bishop of North West Australia, Rennis Ponniah, Bishop of Singapore, Southeast Asia, Samy Shehata, Area Bishop of North Africa (Egypt, Jerusalem, Middle East), Evilasio Tenorio, Bishop in the Diocese of Recife, Brazil, Márcio Simões, Bishop in the Diocese of Recife, Brazil, Sammy Wainaina, Provost of All Saints' Cathedral, Province of Kenya, Philip Wright, Bishop of Belize, Province of West Indies and Hector Tito Zavala, Bishop of Chile, Province of South America. The Most Rev. Craig W. Bates, Patriarch of the International Communion of the Charismatic Episcopal Church; The Rt. Rev. John F. Bradosky, Bishop of the North American Lutheran Church; Dr. Galen Carey, Richard Condie of Tasmania, Australia; Vice President of Government Relations, National Association of Evangelicals; The Most Rev. Melchisedek, Archbishop of Pittsburgh and Western Pennsylvania; representing The Most Blessed Tikon (Metropolitan of All America and Canada) Orthodox Church in America, the Most Rev. Gregory Ortiz Bishop of the Diocese of the Northeast, the International Communion of the Charismatic Episcopal Church; The Most Rev. Janis Vanags, Archbishop of the Lutheran Church in Latvia; The Rev. Larry Vogel Associate Executive Director Commission on Theology & Church Relations, representing The Rev. Dr. Matthew Harrison, President of the Lutheran Church -- Missouri Synod; The Rev. Dr. David M. Wendel, Assistant to the Bishop for Ministry and Ecumenism, North American Lutheran Church; The Most Rev. K.P. Yohannan, Metropolitan of Believers Church; The Rt. Rev. Danny Yohannan, Bishop in Believers Church; Dr. Tuvya Zaretsky, Director Staff Training and Chair, Jews for Jesus.